At the 46th Aichi CS with Hatti CS Individual Battle, Kuro-Shika (黒鹿) played with a Red-Eyes deck and finished in the Top 7. While Blue-Eyes had dominated the OCG 2016.04 format, and Dark Magician had some minor appearance, this is a first for Red-Eyes. 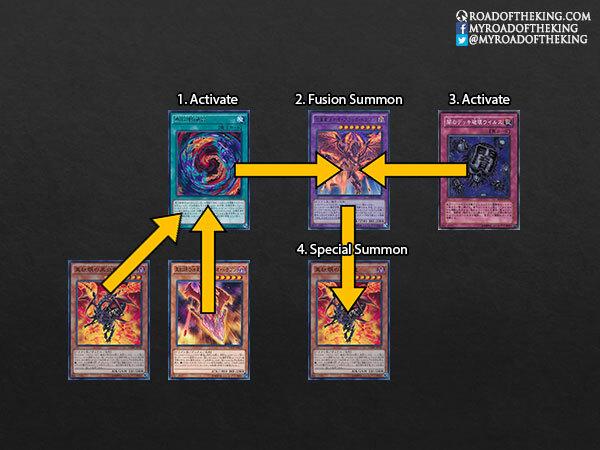 Activate Red-Eyes Fusion, send Red-Eyes Black Flare Dragon and Meteor Dragon Red-Eyes Impact from the deck to the graveyard to fusion summon Meteor Black Comet Dragon. When Meteor Black Comet Dragon is special summoned, trigger its effect and send Red-Eyes Black Flare Dragon from the deck to the graveyard, inflicting 1200 damage to the opponent. During the opponent’s turn, activate Eradicator Epidemic Virus and tribute Meteor Black Comet Dragon. Trigger the effect of Meteor Black Comet Dragon, revive Red-Eyes Black Flare Dragon. 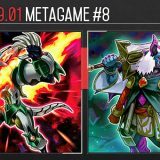 During your turn, activate Dragon’s Mirror, banish Red-Eyes Black Flare Dragon and Meteor Dragon Red-Eyes Impact from the graveyard to fusion summon Meteor Black Comet Dragon. 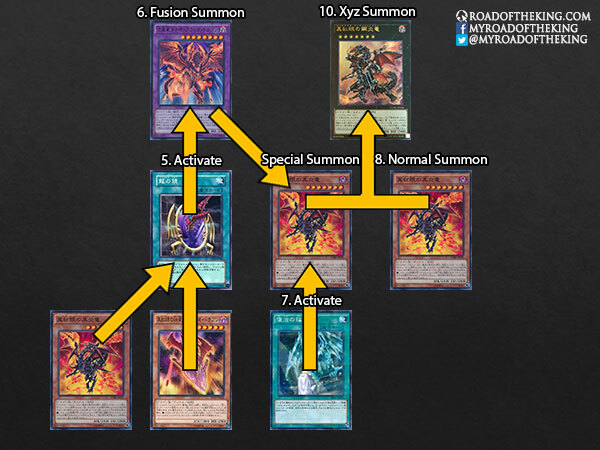 Activate Return of the Dragon Lords, revive Red-Eyes Black Flare Dragon. Normal summon one of the Red-Eyes Black Flare Dragon to have it become an Effect Monster. Attack with all for tons of damage. If the opponent is still alive, xyz Red-Eyes Black Flare Dragon + Red-Eyes Black Flare Dragon to special summon Red-Eyes Flare Metal Dragon. 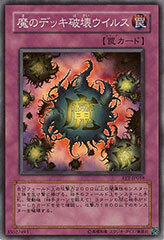 This Red-Eyes deck is focused on crippling the opponent with an early Eradicator Epidemic Virus. With no Spell or Trap cards to protect themselves, the opponent is left helpless against an onslaught of Red-Eyes dragons. Depending on the metagame, Deck Devastation Virus or the new Shadow Spread Virus could be played as well. 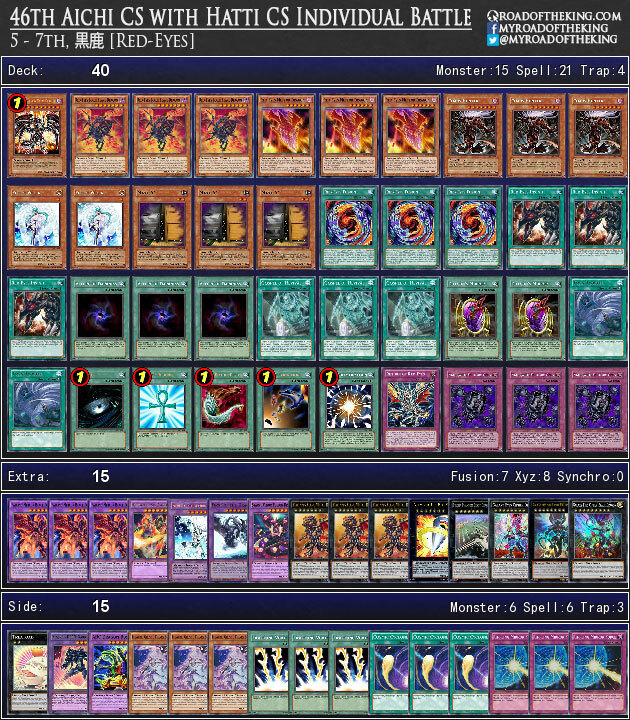 In a metagame concentrated with ABC, Kuro-Shika seized the opportunity and built his Red-Eyes deck to beat ABC. Chaos Hunter does quite well in preventing ABC-Dragon Buster from being special summoned, and it also has great synergy with the deck. 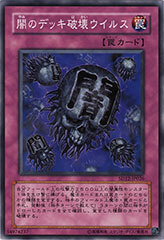 Its trigger effect helps to discard Red-Eyes monsters so they could be revived later on. 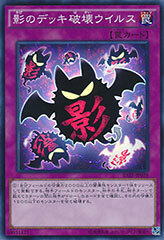 Being a Level 7 Monster, it could be used with Red-Eyes Black Flare Dragon to summon Rank 7 Xyz Monsters. However, the deck has an extremely linear strategy and does poorly against other decks. While Red-Eyes is unlikely to be a top competitive deck for the time being, its potential to utilize the various Virus cards is something to watch out for. The blue dragon brings victory. However, the red dragon does not bring victory; only the potential for it. But only for one with the courage to fight. You do realize your first combo is an illegal activation and does not work? As soon as you play red eyes fusion it prevents your from doing any more normal or specail summoning so when you activate Eradicator Epidemic Virus and tribute Meteor Black Comet Dragon its effect to special summon WILL NOT GO OFF due to you activating red eyes fusion so you have empty bored with no protection? It’s not really a combo, but more of a flow chart of the deck’s strategy. It’s written that Eradicator Epidemic Virus is activated during the opponent’s turn. oh you got burned by red eyes so hard!!!! anyone know the top three monsters to the left of the chart? having difficulty trying to figure out who it is. Masterful explanation. Keep up the good work. Interesting deck thx Akira for this article. Keep up the good work :D.
As I am still new to this, how does he summon absolute zero while having no heroes much less water? Using Super Polymerization against Toadally Awesome HERO. Man, that is pretty cool, thanks for the letting me know.